Description: A nice decorated wall lighting choice for anywhere you want to put.Suggested : kitchen, dinning, loft, stairway and more. Light Direction: Up and Down Light. 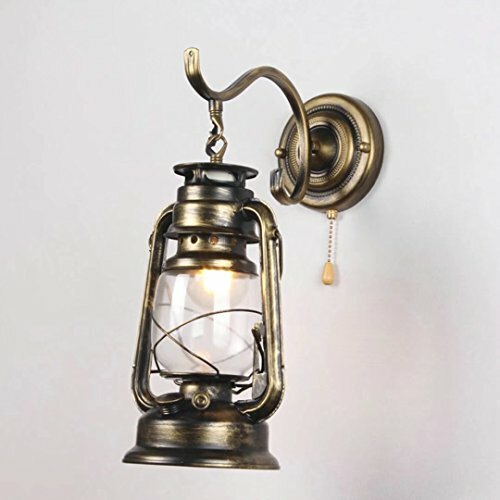 Specification: Color: Black Style : Vintage Wall Lamp Materials:Baked Iron Size : 11 *12.59 inch Lamp Base: E27 (Light Bulb is not included) Input Voltage: 110-120V Package include 1 * Base 1 * Cage Lamp (Bulb is not included) Note Light Bulb is not included All wires are connected. When unpacking, be careful not to pull with wires as a bad connection may result. We suggest installation by a licensend electrician. To reduce the risk of fire, electrical shock, or personal injury, always turn off and unplug fixture and allow it to cool prior to replacing light bulb. Fine lighting online from Pathson beautifully illuminates your life! 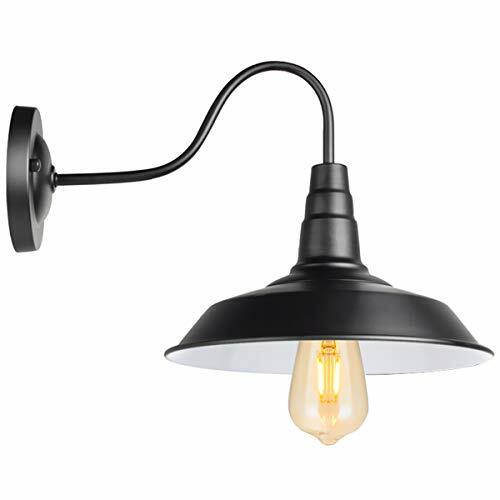 We stock a range of quality vintage industrial styled lighting, lamps and lighting accessories that are all available to you for easy and effortless, fast delivery. Care: 1. For indoor use in dry rooms only. 2. Do not exceed specified wattage. 3. Wipe clean using a soft, dry cloth or static duster. 4. Avoid using harsh chemical and abrasive as they may damage the finish. 5. Come with assembly instructions. Hardwire; professional installation recommended. 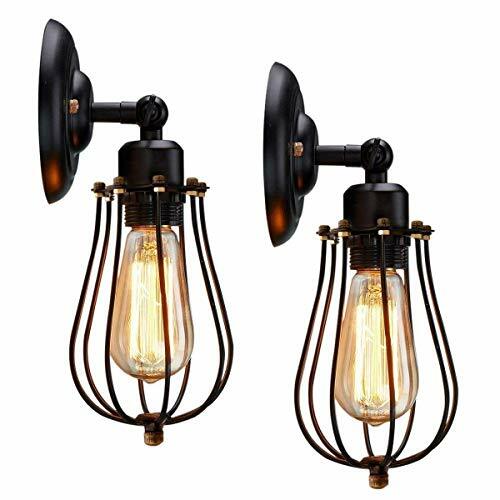 Pathson lighting fixture can decor your room at bedroom, dining room, living room , kitchen, laundry with kinds of style such as industrial, modern, retro, scandinavian, traditional, country ect. Contact & Feedback: - If you are not fully satisfied with your purchase, please don't hesitate to contact us at any time via email. We guarantee that we will give you a satisfactory solution. - Warm remind: Please contact us before you leave a negative feedback. We will be happy to give the reply within 24 hours via email. Happy hunting from Pathson Lighting! 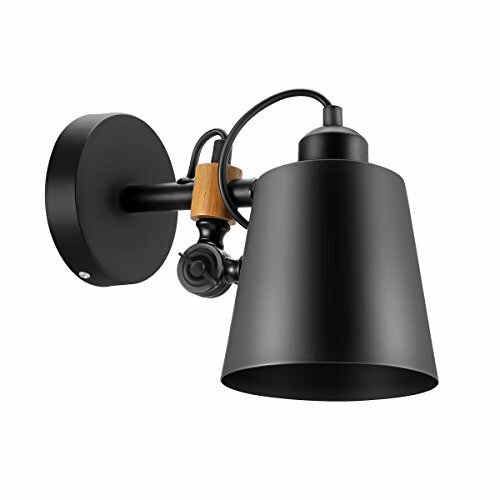 1 .Category: Pull Chain Wall sconce & Wall Lamp Light source type: E27 Incandescent energy-saving lamp LED , not included. Process: polishing / matte / other Number of light sources: 1 Irradiation area: 15㎡-50㎡ Whether the lamp with light: no light bulb Light source power: 3W-40W Voltage: 110V ~ 240V (inclusive) Applicable space: living room dining room study bedroom other / other Style: Retro 2 .Wall lamp brings warmth to your room. you can create the lighting mood and ambiance you desire. to suit your lighting needs. that offers a bright glow of light in a wide area. A great home decor item to complete any room. 3 . Please check your package in post or with the postman face to face. 4 . Attention: a. When unpacking, be careful not to pull with wires as a bad connection may result. b. Do not connect electricity until your fixture is fully assembled. c. To reduce the risk of fire, always turn off and unplug fixture and allow it to cool prior to replacing light bulb. 5 . Delivery Time 10 - 45 days. Return range 30 days. Please contact us if you can not receive the order after 35 days. 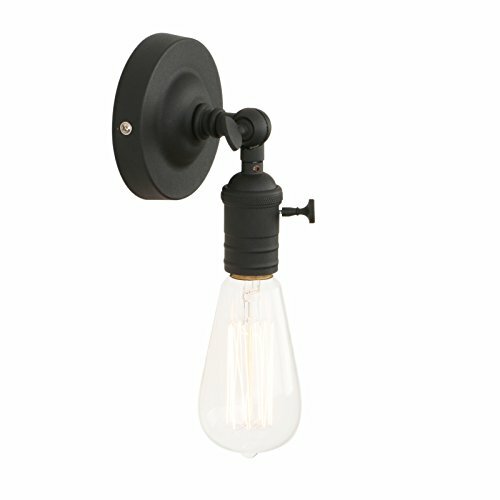 Product Type: Bore bore mi Wall SconcesEasy to install wall-mount fixture.Iron construction painted in black ensures years of reliable performance.Feature a clear seeded vase-like lamp shade held by a metal basket.Product Information:Style: Retro/RusticFinish: Black PaintedMaterial: Glass, MetalBulbs: 1 x 40W incandescent E26 (not included)Voltage: 110-120V (North America)Package:1. 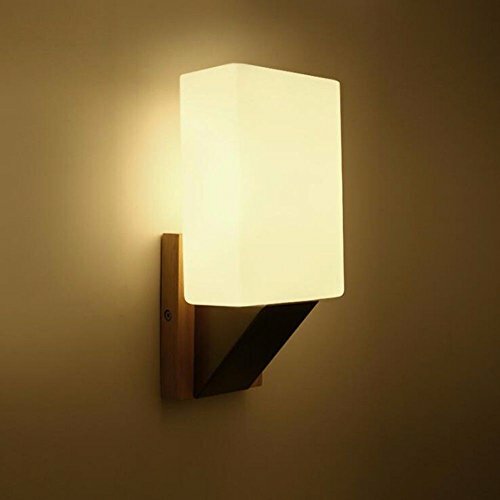 1 x Wall sconce2. Necessary installation fittingsNotice: This fixture does need to be hard wired.Professional installation is recommended.Check if all the fittings are complete before installation.If you need any help, please feel free to contact us immediately. 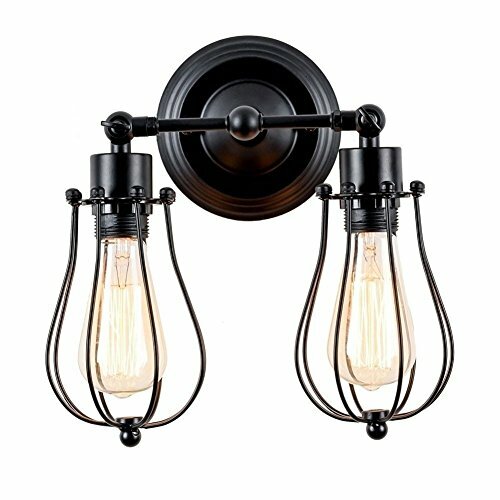 Materials: Strong Iron Shade Diameter: 10.4" Wall mount back plate diameter: 4.7" Style: Loft/Industrial Light Direction: Down Certification: UL listed Assembly Required: Yes Dimmable: N Mounting Accessory Included: Yes Number of Bulbs:1 (Bulbs Not Included) Base Type: E26 Voltage: 110V~240V Power Source: Hardwired Suitable Places: Indoor Use only Notices: WE SUGGEST INSTALLATION BY A LICENSED ELECTRICIAN. 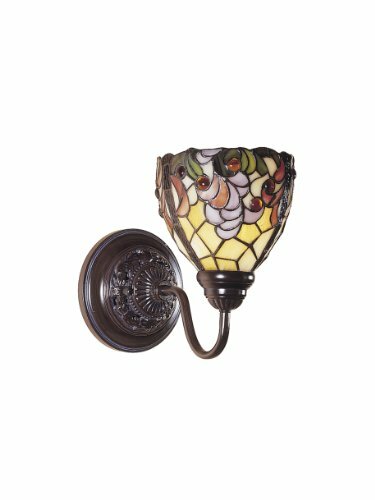 Looking for more Fine Art Lamps Metal Sconce similar ideas? Try to explore these searches: Bassoon Trio Music Book, Womens Sleeveless Ruched Top, and Garmin City Navigator Software. Look at latest related video about Fine Art Lamps Metal Sconce. Shopwizion.com is the smartest way for online shopping: compare prices of leading online shops for best deals around the web. 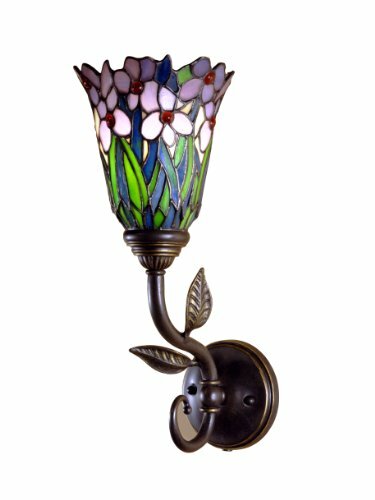 Don't miss TOP Fine Art Lamps Metal Sconce deals, updated daily.